Some of the best blog topic ideas come from you the readers. Today's post comes from an inquiry I received from a participant on the LinkedIn thread Show Me Your Website. Do you know the linkedin.com groups that are specifically tailored to showcase our writing and our websites? I am looking to expand the readership of my blog. I'm really not that familiar with the LinkedIn groups. My best suggestion is time-consuming but it does work if you work it right. Establish yourself in blogging circles and focus on those that deal with writing. You must visit other blogs and build up relationships (blog friendships) with the bloggers. Eventually, if you've done your job right, you will have loyal followers who will visit you and be willing to comment and help you with your work. The other blogs will have great information to share as well. Once you have started exploring the blog communities, start looking for blogfests and contests. Many sites offer opportunities for you to share your writing with others, Just remember, it is a give and take thing where you need to read a few stories and comment on them in order for others to be willing to reciprocate with yours. Until you have become a huge success where readers are flocking to your works, you will have to do some networking which involves a lot of interaction. Also, consistent quality posting is a must. You should develop and adhere to a blogging schedule so readers come to expect something at specific times just like they would anticipate the arrival of a favorite magazine or turn on the TV at a designated time to watch a favorite show. Presence on the web requires regular visibility. Not every day in my opinion (except during April of course! ), but at least once or twice a week. Regular posting will be good for you as a writer as well. These are a few of my tips. 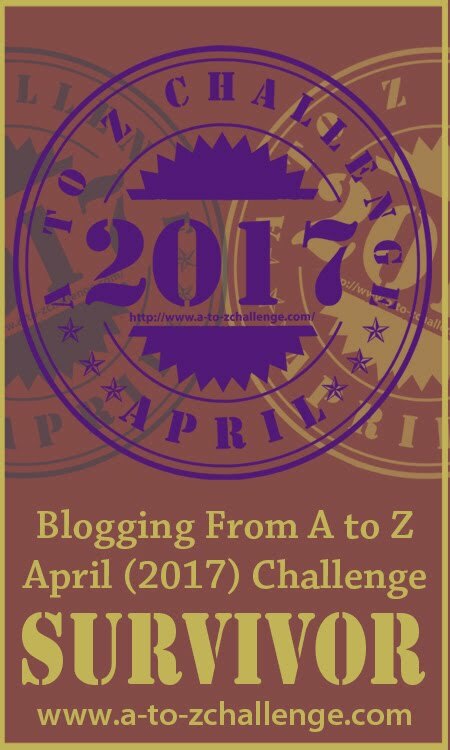 For another angle you may want to consider the Blogging from A to Z April Challenge. You can really build up a big following and readership if you play this the right way. Website at: www.a-to-zchallenge.com. 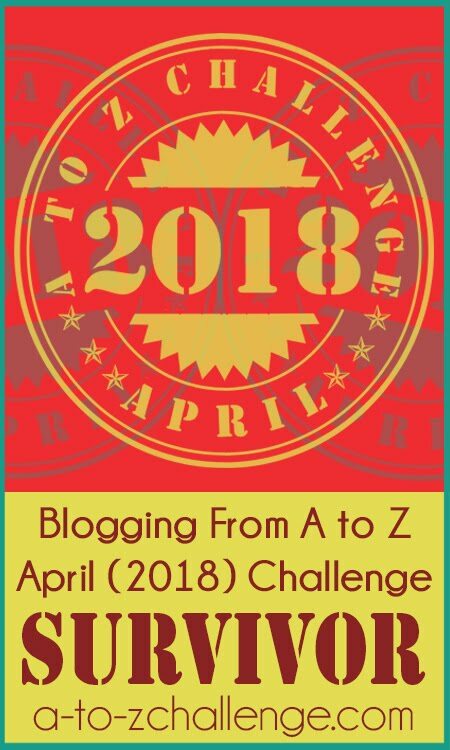 The April A to Z Challenge is not only an ideal way to extend the reach of your blog and expand readership, it's a challenge designed to make you a better blogger and writer, instilling greater discipline in writing. You will improve your habit of posting with regularity and coming up with unique and solid content. The networking opportunities are valuable. 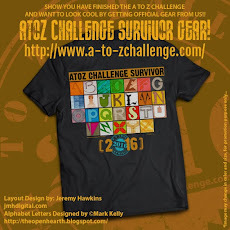 And in addition to these reasons, the A to Z Challenge is great fun. Sign-ups begin on Wednesday January 30th. Be sure to be a part of this year's A to Z! See Shannon's post on this site tomorrow for some more great blog building tips. Although I'm a member of Linkedin, I rarely participate there, and I'm no longer a member of the Fiverr group I used to belong to. Linkedin is geared more for corporate and business networking. Sure there are plenty of authors on Linkedin, but this author prefers Facebook and Twitter when it comes to social networking. Lee, your tips are spot on for building blog readership, and participation in A to Z is an excellent way to do it. Good tips about the A to Z Lee. Not long now until sign up day. I don't use LinkedIN but some associates have recommended it to me. The site is confusing...I'd never imagine that it would help bloggers build their readership. I always thought it was used for networking, building businesses and finding a job. When it comes to blogging and readership, nothing beats the A to Z Challenge, from a "community" standpoint. Its a type of benefit that just can't be manufactured elsewhere...but maybe I'm being a biased A to Z brat. Ha! Yeah those tips you shared Lee, are pretty much the best way to do things. People won't just magically appear at your blog without efgort on your part to meaningfully visit them. 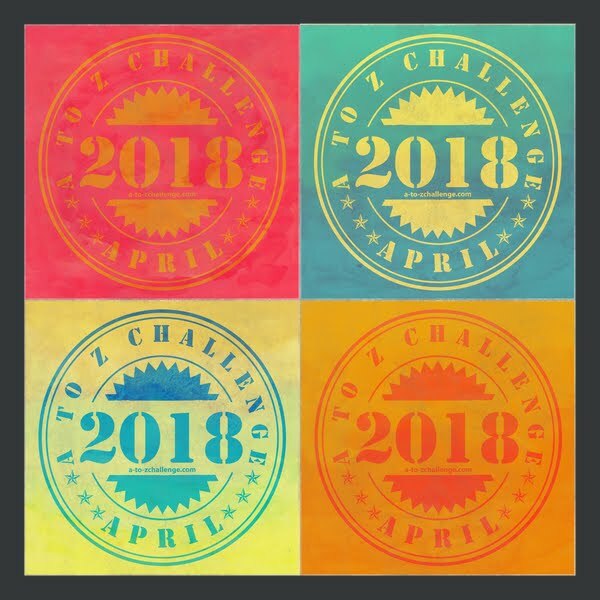 Looking forward to the A-Z challenge again! Blogging takes time, but so does any social network. I am in a couple groups on LinkedIn, but I've never taken time to learn more. One thing I like about A to Z is its based on us, the followers. It's a challenge to help us improve and gain strength on our writing. Thank you for your work A - Z.
I tripled my following during the first Challenge - it works! Looking forward to the Challenge again. I just need to do a better job scheduling posts. Jeremy -- LinkedIn has some good discussion threads. I'm sure the site is good for making professional contacts, but I haven't used it for that yet. Jolie -- There is only so much one can do and the internet can take up a lot of ones time. Pick and choose the sites that serve us best. Yvonne -- Sign ups will be here next week! Nicole -- I've made some wonderful blogging contacts through LinkedIn. The discussion that I follow in Fiction Writers Group has been very rewarding in many ways. Duncan -- Yes, bloggers have to do something to become known unless they have a built-in audience already at hand. Glad to see you coming back for the A to Z.
Diane -- Time, time, time--what does one do? There is so much on LinkedIn and other sites that I'm on that I don't know about. It all takes a lot of time. Jeanette -- Thank you for saying so. A to Z is indeed about the community--it wouldn't be much fun or very useful without everyone else. Alex -- You and I are both true believers in what A to Z can do. We learned from our experiences. Joy -- The prescheduling helps a great deal. I started working on mine this past week. Lee is spot on in his advice. I'm not a LinkedIn participant, but I sure get a lot of invites from people I've never heard of. Probably because their blogger name is an alias. I will not be joining. But I said that about fb and twitter and now look at me...sigh. I only have so much time and I prefer to use it writing and blogging and visiting my buddies, old and new. The challenge is THE bloghop to do. It will have the biggest impact on your blog - but you have to do your part too. If you're not out visiting, you're going to be sorta lonely. It's a give and take, and so worth the giving. I'm for sure looking forward to the A to Z Challenge. I guess, at this point in my life, my job and maintaining the home fires allow me to write less consistently and with less of an audience. It's okay for now. I love the challenge of A to Z , especially since I favor a random approach. Besides, the challenge comes in my favorite month of the year - the month that really starts to set winter aside and simultaneously begins wooing summertime! O good .. I look forward to the challenge! Thank you! Hi Lee .. social media I'm sure takes up a lot of time ... but if authors need connections its the way to go ... being up and involved with others and involved with the group is an essential .. 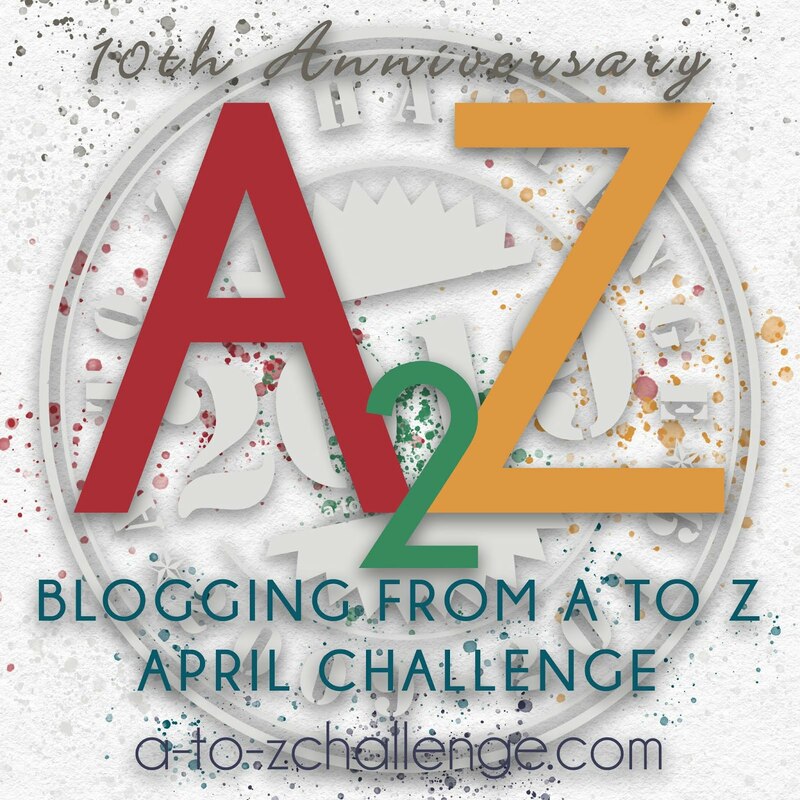 I agree the A - Z Challenge can open many doors to excellent bloggers ..
Good advice! I belong to LinkedIn and have joined a couple writer's groups on there, but I know I haven't used it to its fullest extent. 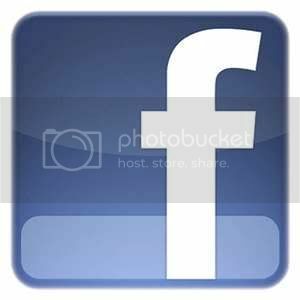 I do get some good links and information from there, which is where I've seen the biggest benefit, so far. I'm registered on LinkedIn but haven't really done much networking through groups. I have the link to my blog in my profile there, but only got 2 or 3 reads. Tina -- Listen to Tina. She knows what she's saying. Gracie-- I agree that April is a good time. Some don't think so, but we could never find the ideal time that will please everyone so April it is. Susan -- We're looking forward to another great A to Z in 2013. Hilary -- Blogging is just one part of the social media experience and it's my favorite so far. Shannon -- LinkedIn is a good place to get involved with professional communities and it adds to presence. Ahmed -- Active involvement in a group such as the one I mention here can bring many new visitors to your blog.